A Northampton man who has been charged with murdering his mother has been remanded in custody until his next court appearance in June. David Love, aged 32, was arrested on Tuesday (April 14) after the body of Sandra Thomas, also known as Dawn, was found at her home in Linley Green in Duston. Love, of Overslade Close in Northampton, appeared in Northampton Magistrates’ Court yesterday (Wednesday) and his case went before a judge at Northampton Crown Court today in his absence. At the crown court, Christopher Donnellan, prosecuting, read the statement of a witness, a man who had been staying with Ms Thomas when she died who said an ambulance was called after the alleged attack but, when they arrived, it was too late. Mr Donellan said Mrs Thomas had suffered fatal blows to the back of the head. He added that Love was arrested before he arrived at the police station. 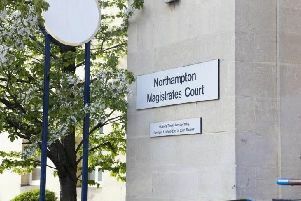 Love has been remanded in custody and he will appear at Northampton Crown Court again in June.